On both coasts it was a big year for orchestras. New leaders took the reins in New York (Alan Gilbert) and Los Angeles (Gustavo Dudamel), and each one, in very different ways, is promising fresh directions for his ensemble and his city’s musical life. At the Boston Symphony Orchestra, the most headlines were, in contrast, generated by a leader’s absence. 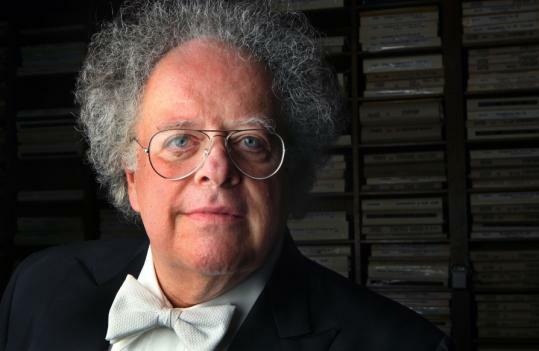 James Levine withdrew from almost the entire fall concert schedule due to back surgery, missing the orchestra’s complete cycle of Beethoven symphonies, a major disappointment for local concertgoers and for the orchestra itself. Overall, Levine’s cumulative absence from Boston was striking this year, since, in addition to his fall leave, his scheduled BSO commitments for the 2008-2009 season concluded in February. Still, for me, the most pressing questions looming over Symphony Hall are not about the conductor’s physical health, or the BSO’s musical health. On any given night this ensemble can still produce remarkable results, including this year a superbly detailed first performance of Gunther Schuller’s new work, “Where the Word Ends,’’ and a viscerally charged opening weekend at Tanglewood. More broadly on the local classical scene, the economy made it a difficult year for growth, but there were still plenty of memorable performances amid the cutbacks, and some organizations that figured out how to do more with less. The Boston Early Music Festival chose to postpone the first modern staging of a vanished opera by Christoph Graupner, but still managed to mount a theatrically vibrant and musically superb production of Monteverdi’s “Coronation of Poppea’’ as the central offering at this year’s installment of the biennial festival. Boston Lyric Opera, with its new general director, impressively managed to expand its season to four operas, including one that will take place outside of its home at the Shubert Theatre. Opera Boston, despite the economic news, also forged ahead with its mission of producing works you may not know but are glad to discover. The company’s biggest success in 2009 was the local premiere of Shostakovich’s “The Nose,’’ an exhilarating early work that received an absorbing new production. That this operatic gem could only now be getting proper attention (it also comes to the Met in March) shows how much sifting through of the last century’s music remains to be done. The Handel and Haydn Society has a brand new artistic director, Harry Christophers, but top artistic positions still remain open at BLO and Emmanuel Music, leading one to hope for major appointments at those organizations in the coming year. Elsewhere on the scene, two fledgling chamber orchestras - A Far Cry and the Discovery Ensemble - began generating real buzz and carving out important niches for themselves. The former group even secured a residency at the Gardner Museum. On local stages, there were some smoldering performances from out of town guests (two Brahms symphonies offered by the Berlin Philharmonic leap to mind). But the city’s own passionately devoted musicians also stepped up again and again. A luminous all-Britten program from the Cantata Singers, searing Bartok from the Borromeo Quartet, a rousing 80th birthday reading at Brandeis of a keystone work by Yehudi Wyner, and copious amounts of percussion excitement unleashed by Boston Modern Orchestra Project at its “Big Bang’’ concert - these are just a few examples of evenings that resonated long after everything else about the day had been forgotten. On the local classical music airwaves, the news has been distressing. WGBH purchased WCRB this fall, a crucial move that prevented Boston from losing its only 24-hour classical music radio service. But starting Dec. 1, WGBH also removed all 50 hours a week of its own classical programming from 89.7 and shipped it up the dial to 99.5, which has a much weaker signal. Pair that with the cancellation of a historic broadcast - the BSO’s Friday afternoon performances from Symphony Hall - and, not surprisingly, many of the city’s most committed classical radio fans are outraged. Of course, the local music scene was also indelibly changed by several who left it in 2009, and the notable deaths included four giants in their respective fields. There was one who performed and taught music, Marylou Speaker Churchill, two who created it, Leon Kirchner and Lukas Foss, and one who provided words, Michael Steinberg, to help us understand why it is all worth caring about in the first place. Test your knowledge of the past yearwith our interactive quiz.